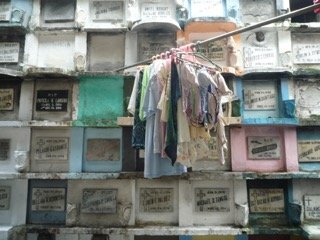 Visit the Cemetery on which reveal a lot about place and people in the Philippines. Most cemeteries posses a community that given them the opportunity to live and work. 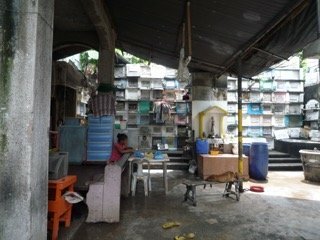 Meet some of the people who where born in Manila North Cemetery and have lived their lives here for decades. They say that living with the dead provides peace, which they cannot obtain living on the streets. For some, being in cemetery has helped them believe that life really goes beyond the grave. Dangwa : Visit the biggest flower market of Manila and learn why there are many Filipinos working abroad. 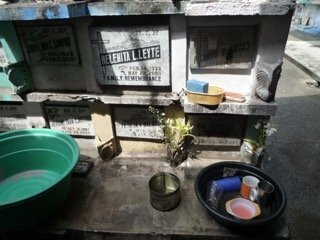 Jewish Cemetery : Hear how the Philippines became a refuge for Jews during the Holocaust. Rituals and Beliefs : Learn interesting Filipino practices for observing death and celebrating All Saints Day. Get an understanding how Filipino’s think about ghosts. Residents : Understand why many people have to live in the cemetery. Public Transportation: Experience public transportation in the Philippines as the tour leaders take you on a jeepney and tricycle.